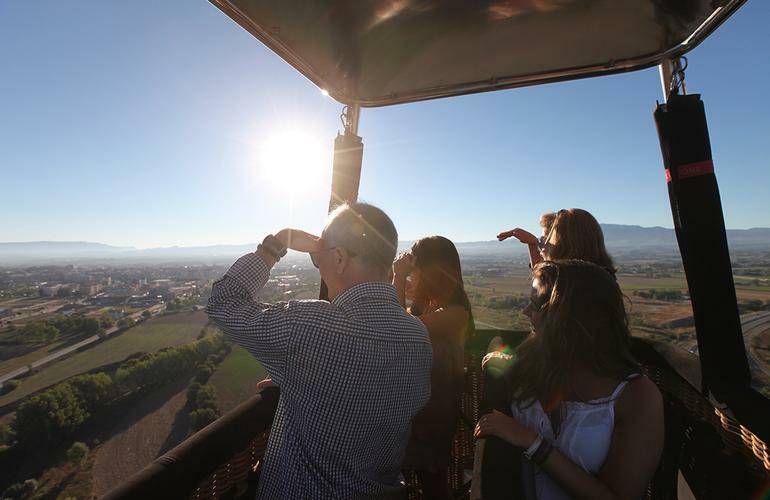 Flying on a hot air balloon in Vic, near Barcelona, is always a good choice, whether you've lived the experience of flying in other places before or if it's the first time you do it. 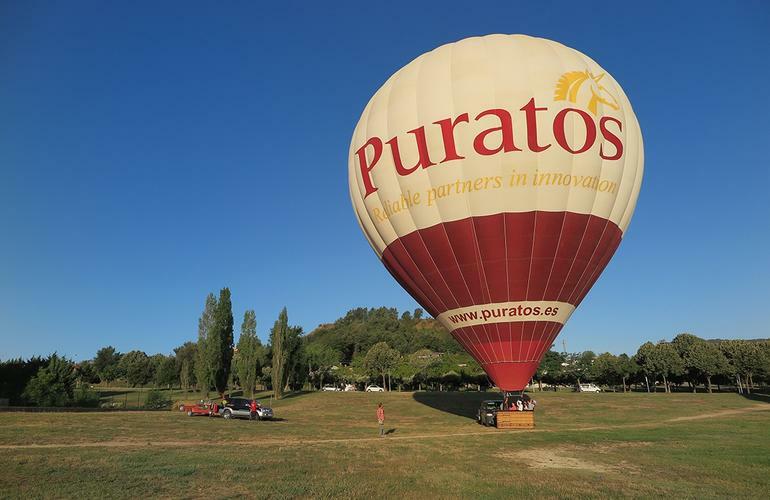 Halfway between the coast and the mountains lies the region of Osona, you can Vic, where your balloon flight will take place. 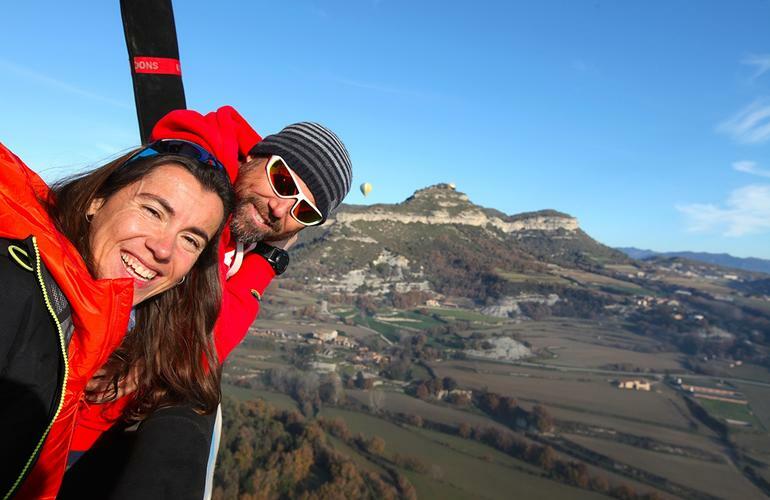 During the flight, you can witness the mountains, and on clear days you can even see Montseny, Montserrat and the Pyrenees. 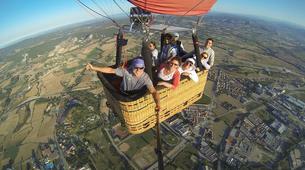 On very special days, you can go so high that you can see Barcelona and its coast. The activity begins early in the morning, after meeting with Globus Barcelona in the designated spot you will be transferred to the take-off field so you can meet the rest of Globus Barcelona ground team and there we will introduce you the balloon pilot. The adventure starts once you get there, the crew will start prepping the balloon, you are invited to participate if you wish, and they will take pictures for you as souvenirs. 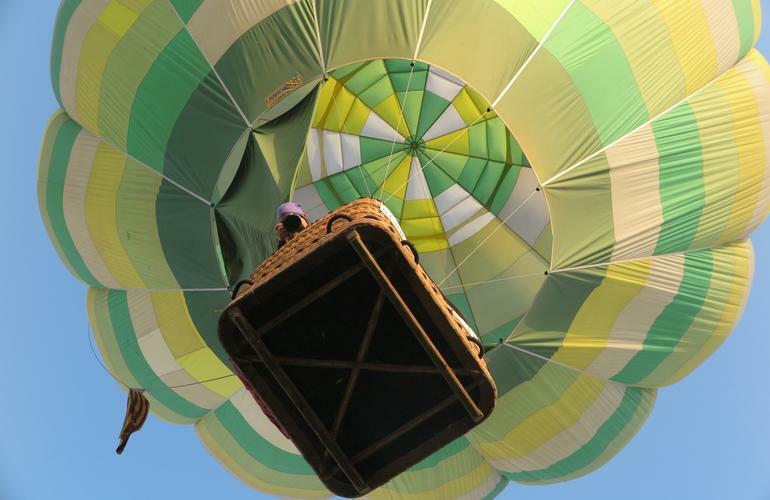 Once the balloon is laid down on the ground, it will be hooked to the basket and will start getting inflated it with a powerful fan. 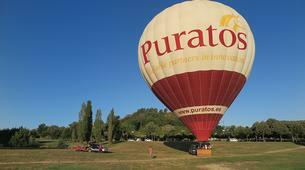 Then, when it has enough air in it, the pilot will turn on the burners and fill it with hot air. This will make the balloon to rise and get into an upward position. 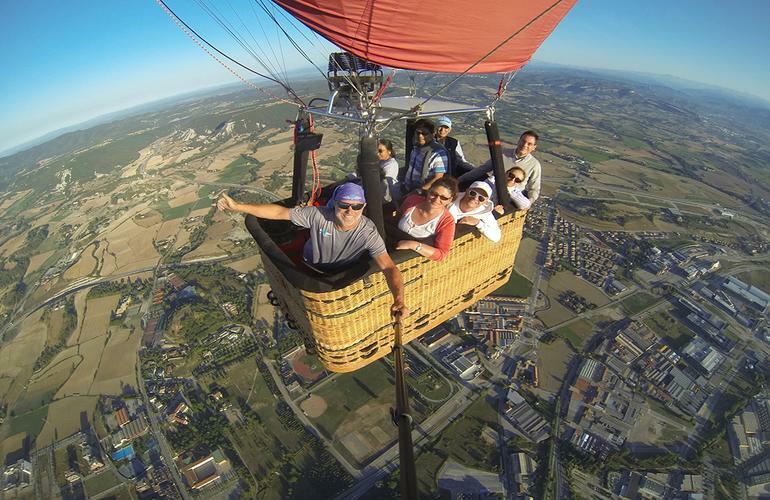 That is the moment in which you'll jump into the basket, the pilot will make a safety brief and will give you the landing instructions, we are ready! 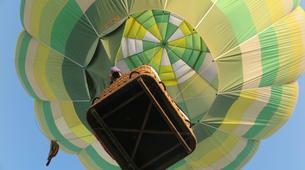 The pilot will control the burners and the balloon will rise slowly, majestically! 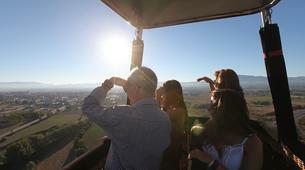 From the heights the views are incredible and the feeling indescribable, you will have a 360 degrees view across the Vic plain, the green mountains, fields with different shades, and buildings full of history. It is just fantastic! During the flight, the pilot will be in continuous radio communication with the ground crew, so they are able to keep track of you and take you back to the meeting point once the flight has ended. After returning to the meeting point, you'll to a restaurant in the area, there to have lunch, see the photographic report of the day that our team and discuss the flight. 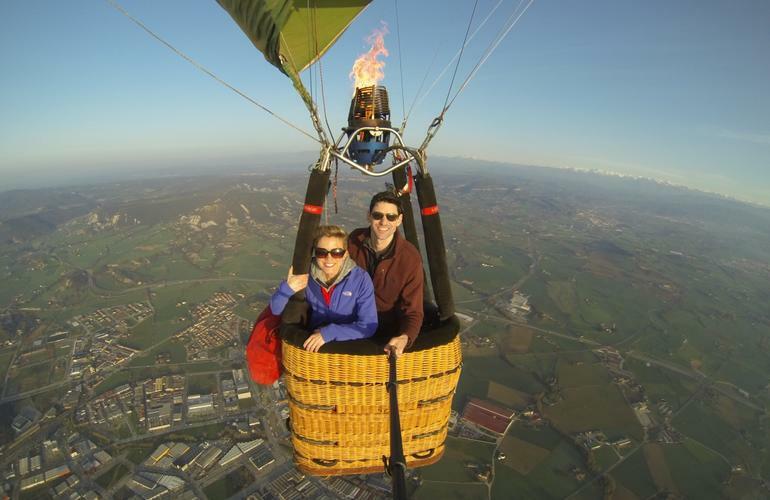 Finally, the pilot will deliver you a flight certificate and you will have a toast, a tradition that began in 1783 when the first balloon flight in Paris was done! Your flight will be around 1 hour and 15 min. long, yet all the activity including preparation, lunch, and toast will take around half a day. All minors must have authorization from their parents. A pick-up service in Barcelona area can be arranged, please get in touch with the provider after booking to arrange it. A minimum of 4 people is required to provide the service. 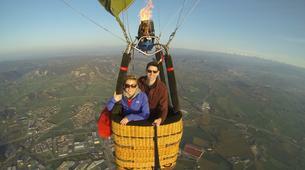 I was so delighted with our balloon ride! The pilot and his lovely wife made it a trip to remember. We were photographed at all stages of the ride, on the ground and in the air, and then given the computer chip with all the pictures. From the moment they picked us up in Barcelona, until a fond goodbye after breakfast, it was the truly the highlight of our many activities on our trip to Spain.